5-6mm. Care must be taken to separate this species from germinyi. 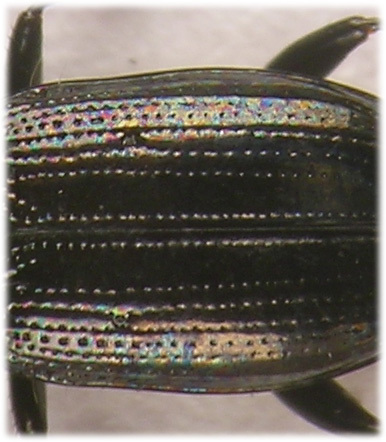 Very shiny and entirely dark metallic but for rufous tibiae and at least the underside of 3 or 4 basal antennal segments. 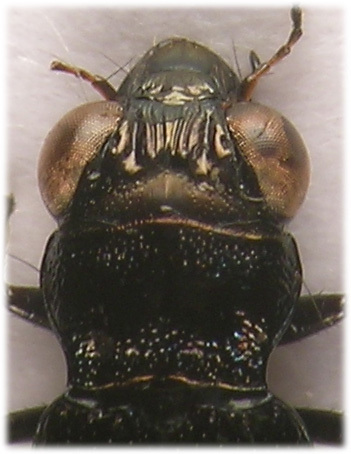 Eyes very large, head wider than pronotum. Frontal furrows diverging anteriorly (parallel in germinyi), these vary widely in the extent and strength of metallic colouration. Head with a narrow unpunctured area at base, this is strongly microgranulate and about as wide as the distance between the bases of the frontal furrows, in germinyi this unpunctured area extends laterally to the level of the posterior supra-orbital puncture. 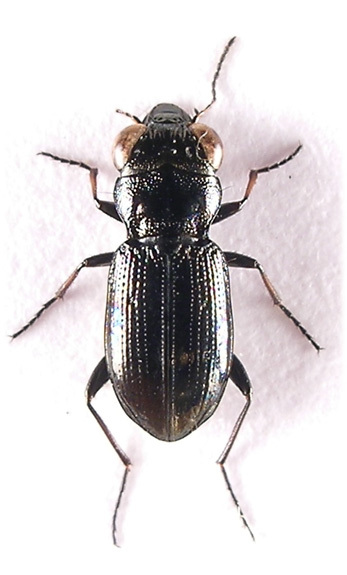 Pronotum broadly transverse and strongly punctate around margins. 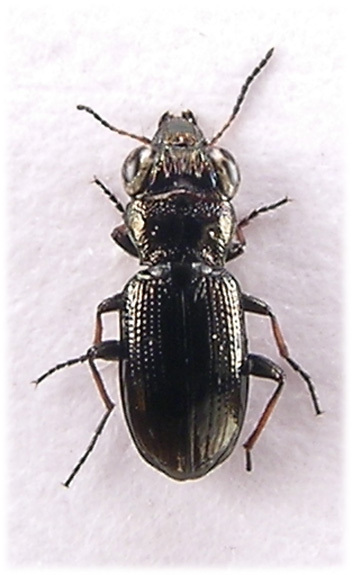 Scutellum large and microsculptured. Elytra without pale subapical macula, with three foveate punctures behind a strong basal border, another medially within the fourth interstice and two subapically. Striae strongly punctate to behind middle, becoming evanescent apically, the sutural striae is well impressed to apex but usually impunctate in apical third, the seventh is present as a raised carina subapically, outside this there are two foveate punctures. Second interval about as wide as third and fourth combined. All intervals smooth and shining, in germinyi the outer intervals are microreticulate and dull.